That is 20,000 fewer coins than last year's 1oz silver lunar design! 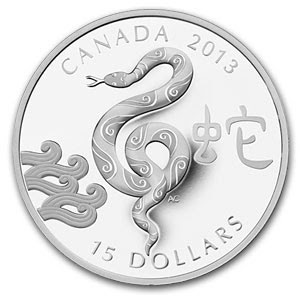 This coin captures the true essence of the Snake’s personality, which is graceful and soft-spoken. 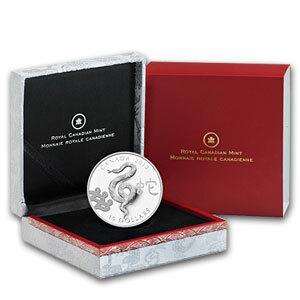 Coin comes packaged in an attractive Asian-inspired case - a perfect gift for those born in 2013 or a previous Year of the Snake!